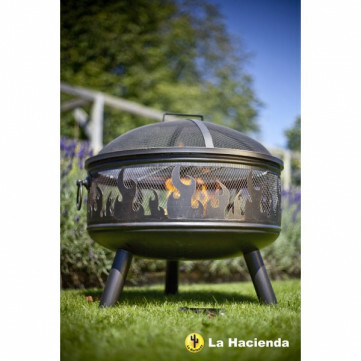 The Wildfire firebowl is a nice, sturdy steel fire bowl with mesh sides, bbq grill, and flame pattern on the sides. 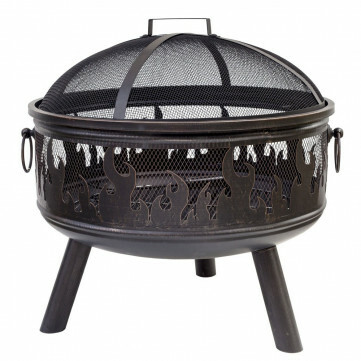 One of our best-selling firebowls. La Hacienda model 58116.